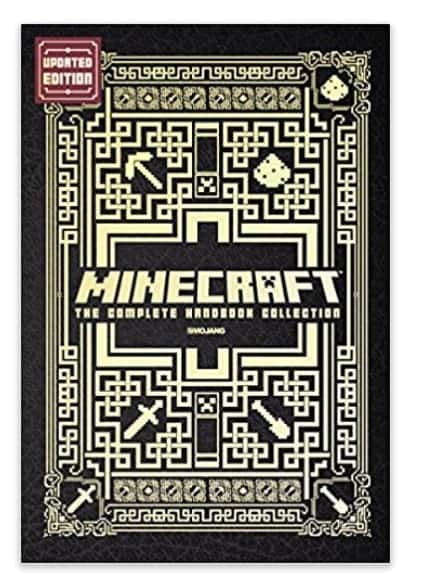 The Minecraft: The Complete Handbook Collection is on sale for $9.73 at Amazon right now. That's 73% off the list price of $35.96! Updated versions of Minecraft's four bestselling handbooks are available in a stunning, gold-foiled boxed set! This ultimate collection includes the Essential Handbook, Redstone Handbook, Combat Handbook, and Construction Handbook. Each book now includes sixteen-addtional pages with brand-new content! Minecraft–the indie sandbox video game that took the world by storm–has been hailed as one of the greatest phenomena amongst gamers and educators for both its simplicity and its brilliance. Allowing players to build, explore, create, collaborate, and even survive, Minecraft has created a brave new world of gameplay. Each handbook contains helpful tips and information from the creators themselves, all of which will prove vital to your survival and creativity as you learn to mine, craft, and build in a world that you control.